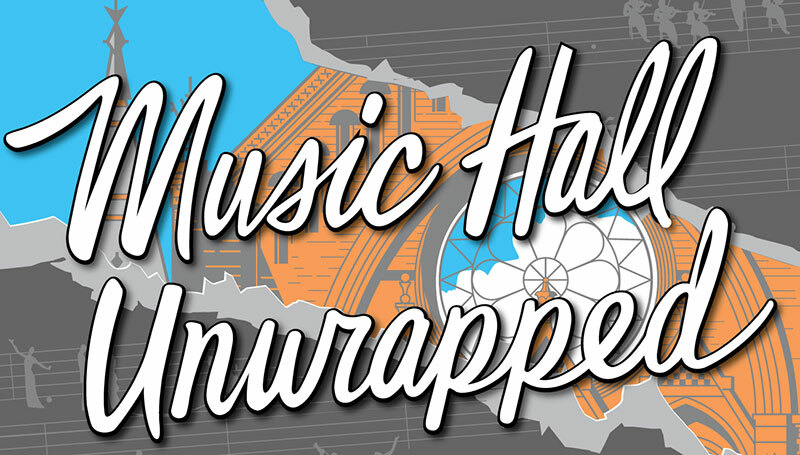 SPMH Home » About SPMH » SPMH Projects » Music Hall Unwrapped! Music Hall Unwrapped, was held on Wednesday, October 11, in the newly-restored Corbett Tower. Guests were treated to behind-the-scenes guided tours, lite bites with soft drinks, and music by the Faux Frenchmen. On hand to answer questions about the renovation—and about SPMH plans for additional exterior work—were preservationist Thea Tjepkema and archivist Ed Rider, both SPMH board members. On the guided tours, SPMH Program Guides shared stories and answered questions about Music Hall, its event-filled history, and all the renovations that have occurred since it was built. As a special bonus, attendees who signed up as a new SPMH member received a Music Hall ornament memento, the SPMH publication Music Hall Marks, and a full-year membership to SPMH. Proceeds from this event benefit SPMH, the Society for the Preservation of Music Hall a 501(c)(3) nonprofit organization, which means they benefit Music Hall itself!